Natural's roof trusses - structural design for years! 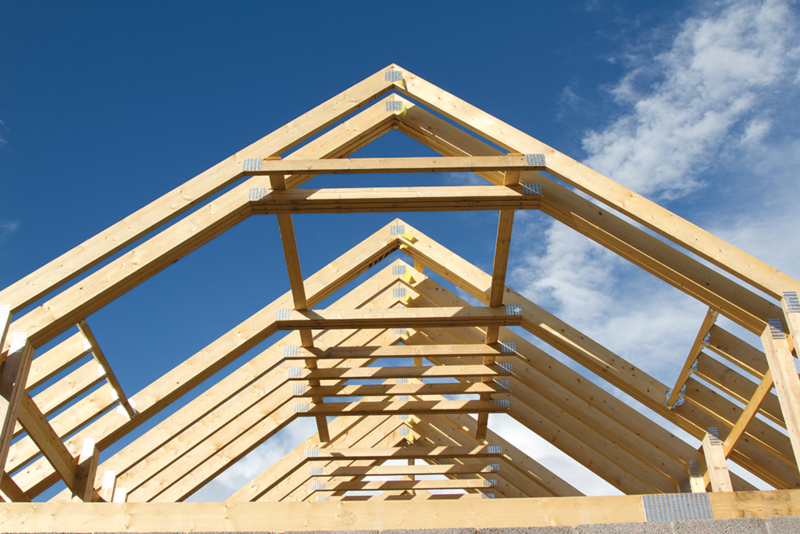 Roof trusses or trussed rafters are becoming more popular in construction as the knowledge of the customers develops. In the end everybody wants to build their houses according to certified processes so that their homes would be safe, sustainable and could be passed on though generations. Such behaviour has triggered a positive change in the construction market where trussed rafters are preferred and projected by more and more architects. Optimal structural design - trussed rafters are designed, optimized and assembled according to the specifics of the particular building and the roof. Such solution will guarantee the minimal material-, labor- and time cost even within the most complicated projects. Quality - only the best softwood is used - Natural controls the quality of the wood within the whole supply chain from sawing to assembly of the trusses. This enables to guarantee the best kiln drying, planing, stress grading and of course the best roof trusses. CE compliance - trusses have been manufactured according to EN14250:2010 standard, which means that the production meets the European building regulation and is CE certified. Saves time on construction site - roof trusses are delivered to site and lifted on the building according to the agreed delivery time. This enables to save a lot of construcion time and ease the building of communications, which can be easily hidden inside the trusses. Cost saving - minimal material and operational costs are guaranteed thanks to a continuous industrial process that is put into practice on a daily basis. Sustainable forest management - the used timber comes from controlled sources and is FSC or PEFC certified. AS natural is a leading Estonian timber industry and exporter with more than a quarter of a century of experience. Our throughput is up to 50 000m3 of timber products annualy, which gives us the necessary support to become the preferred roof truss manufaturer in Estonia. As a timber processor we are able to control the quality of the wood from sawing to stress grading and ensure the best year-round supply of wood components to our roof truss plant. Our production is located exactly in the heart of Estonia - in Koeru, Järvamaa. This enables us to logistically serve the whole country. Thaks to these competitive advantages AS Natural is able to offer the best value for money guarantee to all roof trusses that leave the plant! If you already have a roof tuss project with drawings then we can have a look and calculate the cost of the production and transportation. If you do not yet have a project then we recommend to order it from our preferred specialist - Pahkla Puitmaja OÜ: www.fermiprojekt.ee. As an alternative we can order it ourself if you send us the general construction project and delivery address. This will take a day or two as the drawing might take some time depending on the current queue and complicity of the projects. You will then receive it together with the quotation. If you need to send us more than one file then please add them to one container (zip).